A set of three fun items, including two cat toys, three-way cat tunnel and a running mouse catnip toy With scratchpad. Found this code AROPAW15 worked for me! Baily and smoky are loving it thanks! 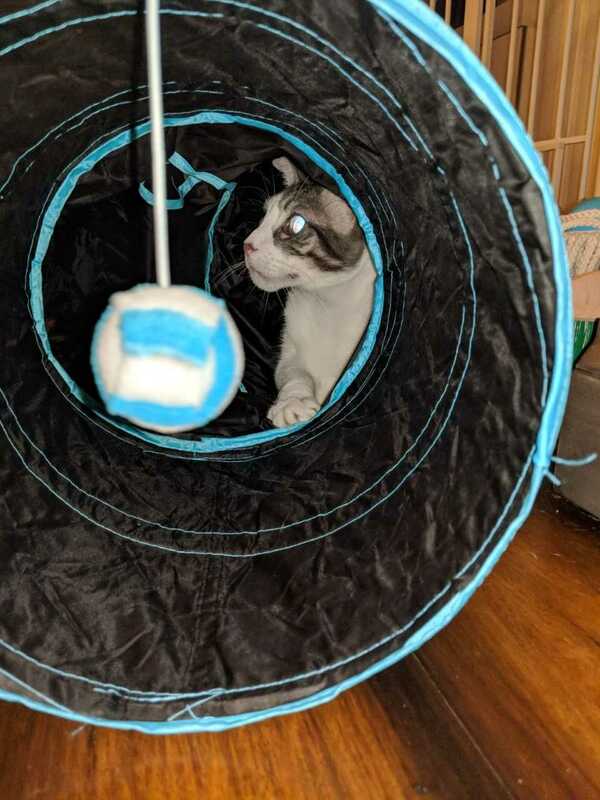 My cats love the 3 way tunnel. Nothing special about the running mouse. I thought it would at least make a noise.